You Deserve the Best Service. 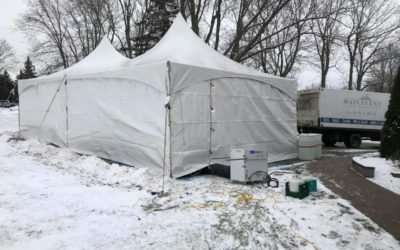 With years of tent industry experience, we have been recognized by our clients for providing industry leading tenting solutions at competitive prices, with many of our new clients coming from referrals. Main Event philosophy to provide you with the perfect solution for all your tenting needs. Regardless of the weather, we are here to ensure your guests are kept warm and dry, but in style too. I just want to say thank you again for giving us an awesome deal on your tents for our hockey fundraising event we did down at foam fest!! The tents looked amazing and I handed your cards to people to let them know where they can go for rentals!! We have dealt with Main Event Tent Rentals for the past 3 years at Waterfront and at Family functions.. The service this company provides is efficient, reliable, dependable and friendly. Highly recommended for Weddings and any event you are planning. Thanks again Wes. Our wedding venue was shut down 3 weeks before our wedding day. Wes was quick to respond and so understanding and reassuring. We were even able to rent tables and beautiful vintage wood chairs from them. The tent turned out to be more beautiful than I had envisioned. Leading up to the day, Wes was prompt with his responses & super flexible. His crew at set up/take down were very friendly and efficient. Their price was also the cheapest I was quoted as well. I would highly recommend Main Event Tent Rentals for all your outdoor party needs. From Tent Top To Table Top, And Everything In Between. 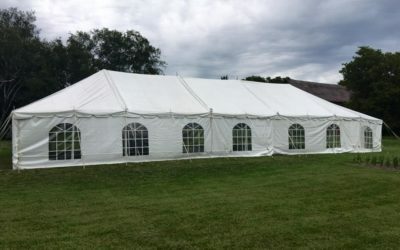 Main Event Tent Rental specializes in custom tenting and flooring solutions for events of all sizes and types in the entire area ranging from Belleville, Quinte West, Brighton, Prince Edward County, Napanee all the way through to Kingston! Whether you are getting married, or are having a family reunion or a cooperate venue we have all the tent and event supplies you will need. At Main Event Tent Rentals, we believe that hands on customer interaction is key to a successful event. Looking for an affordable bar option? We have round tables with bar risers. Much cheaper and lighter than large wooden bars! 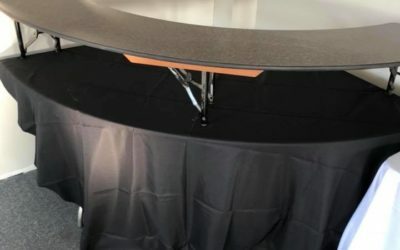 $50 for the set up including a tablecloth. Still setting up tents!! This one was done for our great customers at glenhaven. 20×40 set up with a propane tent heater supplied as well.